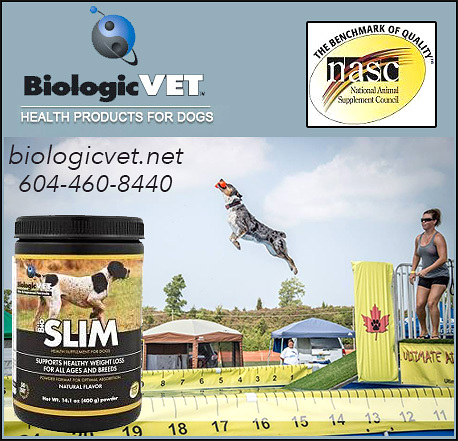 BioSLIM is a unique blend of ingredients known to promote healthy weight loss in dogs and cats experiencing weight management issues. Providing less active pets with energy support, this formula helps promote and encourage physical activity. GMO-Free BioSLIM supports normal blood sugar activity, metabolism and caloric expenditure. Does not contain artificial: flavors, colors, preservatives or binders. BioSLIM has been developed to target over-stuffed fat cells and the insulin-resistance that characterizes pre-diabetes and diabetes. The formula reduces insulin resistance and supports insulin systems as they are re-activated and become more efficient. It also triggers fat-burning activity and blocks the absorption of those carbohydrate fillers commonly found in processed pet foods. Vanadium sources such as vanadyl sulphate have been shown to help generate glucose transport sites, reversing insulin resistance. Vanadium sources can prompt the cells of the body to repair damaged transport sites. This mineral along with chromium polynicotinate help balance blood sugar, insulin and pancreatic function. Amino acids l-glutamine and l-taurine improve insulin function, support anti-inflammatory activity and glutathione antioxidant status as well as provides immune system and lean muscle tissue fuels and nitrogen retention in muscles. Digestive enzymes, bromelain from pineapple stem, papain from papaya, protease from microbial microorganisms and standardized pancreatic enzymes from porcine improve digestibility of food and increase nutrient absorption and feed efficiency. To physically reduce body fat, BioSLIM works at multiple levels to activate the fat-burning furnaces, primarily through safe thermogenic herbs ( yerba mate leaf powder, bitter orange extract, green tea extract, grapeseed extract, ginger root powder, kelp). In addition to igniting the fat burners, BioSLIM also includes carbohydrate-blocking ingredients that reduce the digestion and absorption of carbohydrate. Corn is a common carbohydrate filler in pet foods, as are common grains. These fillers contribute to poor insulin health and poor body fat management. The inulin fiber and white kidney bean powder in BioSLIM reduce the absorption potential of this unwanted carbohydrate and improve insulin’s ability to regulate blood sugar to improve general health and metabolic rate. The delivery system of BioSLIM is a certified organic base of defatted flax, sunflower and sesame seed providing the good bacteria in the intestinal tract of the dog a great prebiotic food source to improve the dog’s immune system. This fiber also supplies plant estrogens called lignans that the good bacteria convert into mammalian estrogens balancing hormone function in the dog especially when a dog has been spayed or neutered. Each scoop (1 tbsp) will provide at least 20mg of lignans, enough for the Vet recommended amount of 1 mg of lignan per lb of dog weight. By improving the intestinal tract function, immune system, and hormonal function of the dog there is better absorption of the nutrients from the formula as well as from the food the dog is eating allowing the BioSLIM formula to begin to work in a very short time. If a lower calorie diet is combined with BioSLIM, the addition of BioVITES can ensure the diet is nutrient-dense and that the nutrients are bioavailable. Once insulin efficiency is re-established, your pet will experience better energy, strength, and endurance. He or she will recover from the daily walk or run more easily and with less stiffness. More body fat will be burned, and an improved metabolism will take care of long-term fat management. Once your obese pet has lost some body fat, some regular exercise can be added to the program to improve energy levels and further speed weight loss. Start with the regular walk and as body weight continues to drop, increase the exercise to slow runs and then to faster, longer runs. If obesity and diabetes are long-standing conditions, you may need to continue to use BioSLIM. In most cases, however, once the target weight has been reached (and the necessary diet and lifestyle adjustments made to maintain the target weight), BioVITES and BioFATS will provide all the insulin support your pet’s body needs. Essential fatty acids, particularly DHA derived from marine oils, are powerful insulin support. BioFATS is an excellent source of DHA. This is why the addition of BioFATS and BioSLIM to the feed daily can help reverse obesity even more effectively than BioSLIM alone. BioFATS, despite the name, will support metabolic health to improve fat-burning as well and should be continued after the need for BioSLIM has melted away. Again if feed volume is reduced in an effort to reduce calories, BioVITES is also recommended as compensation to increase nutrient density of the diet. BioFATS and BioVITES together provide insurance that all the essential micro-nutrients are supplied sufficiently. What Other Products Do BiologicVet Offer? BioVITES - This product is a holistic, nutritional supplement that provides a full spectrum of vitamins, minerals, enzymes, prebiotics, lignans, protein, amino acids, and antioxidants; when used regularly, helps to normalize digestion, absorption and metabolism that are important for immune function and general health. This daily supplement is formulated to support your pet’s immune system and to encourage the most effective delivery of nutrients, maintain nutrient density, feed efficiency and help maintain general health at every stage of your pet’s life. BioJOINT- This product is a cohesive blend of ingredients, designed to help activate the chondrocytes (worker cells of the cartilage), and support their effective use of glucosamine in the rebuilding of collagen. Without this activation, glucosamine serves as an antiinflammatory agent without effectively contributing to tissue regeneration. BioSKIN&COAT- This product is a natural, bioflavonoid based antihistamine that targets histamine receptors—where the central allergy response takes place. BioSKIN&COAT is developed to promote skin and coat health by supporting normal immune system and histamine response to allergens. Added to an organic, whole food, seed-cake to optimize palatability and nutrient bioavailability, GMO-Free BioSKIN&COAT was designed specifically for the canine and feline metabolism and gastrointestinal tract, with biologically active ingredients that have not been exposed to oxidation. BioSENIOR- This product is a natural, digestion, immune and hormone support formula. BioSENIORS’s unique blend of ingredients provides intestinal and digestive support for animals of any age especially for those animals with leaky gut syndrome, on a protein rotation diet, have severe allergies and or yeast overgrowth. Added to an organic, whole food, seed-cake to optimize palatability and nutrient bioavailability, GMO-Free BioSENIOR was designed specifically for the canine and feline metabolism and gastrointestinal tract, with biologically active ingredients that have not been exposed to oxidation. What Do Customers Say About BioSLIM? Order BioSLIM by BiologicVet Today! Helping your dog maintain a healthy weight is vital for his health, longevity of life and well being. Responsible dog owners carefully monitor the weight of their pets and BioSLIM can help make a wonderful difference to your dog. Don’t let your dog suffer the consequences of being overweight— order BioSLIM today! We welcome your call today!